2009 Legal 500 says: “As possibly the UK’s most experienced mediator and probably the most prolific, Andrew Fraley’s style and approach are unique and enormously popular. As one of the pioneers of commercial mediation in the UK, Andrew Fraley trained as a mediator in the US in 1989 and works full time mediating with solicitors, barristers, professional bodies and companies. He was for seven years the Technical and Training Director of ADR Group developing mediator training courses and dispute settlement programs. 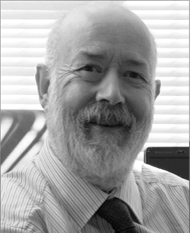 In private practice since 1996, he is an experienced, full time mediator , previously Chair of the Mediation Development Group developing NVQ standards in mediation, a regular speaker at specialist conferences and seminars [including those for the Law Society] and a member of Lord Woolfs medical negligence working group [now the Clinical Disputes Forum]. He conducts 3-4 mediations per week and has mediated in well over 2000 cases involving; Professional Indemnity claims against Solicitors, Surveyors, Architects, Accountants and the medical profession; along with Personal Injury; Maritime; Construction; Agriculture – both livestock and arable issues; Employment – both on going and post termination disputes; Professional Partnership and Shareholder disputes; Inheritance; Probate; Trusts; Landlord & Tenant; IT; Oil and Gas transportation and Insurance for both two party and multi party cases involving claims from several hundred pounds to several millions and for parties both in the UK and abroad. He designed & developed the mediated settlement conference [MSC], at the specific request of lawyers, as a cost effective tool to assist resolving disputes using mediation.